When Alexander Litvinenko fell gravely ill, doctors in London were stumped - but he was convinced he had been poisoned by orders of Vladimir Putin. As a former dissident in Russia, new British citizen and recent informant for Britain’s intelligence service, he knew that he had many enemies within the Russian government. Months after his gruesome death it was determined that he had been poisoned by Polonium - an extremely rare, lethal, and extraordinarily radioactive substance that could only have come from one source: Russia. What follows is a years-long investigation that covers continents and exposes almost unbelievable corruption, brutality and greed. Harding calmly yet inexorably exposes the frightening evidence of Russia’s criminal intentions and long-term plans for global dominance. 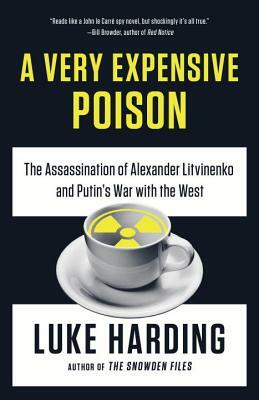 Luke Harding is an award-winning foreign correspondent with The Guardian. Between 2007 and 2011 he was the Guardian's Moscow bureau chief; the Kremlin expelled him from the country in the first case of its kind since the Cold War.